Moving house can be a difficult time, with many aspects of the move completely out of your control. As a result, it’s important to make the things that are in your control as smooth and stress-free as possible. At Fox Moving & Storage, we like to offer home movers a choice. Our standard self storage service enables you to store all of your possessions in our safe and secure facilities until you’re ready to move into your new home. However, we also provide a comprehensive door-to-door containerised removal service, too! By loading your furniture and effects straight into containers, it avoids double handling, which reduces any risk involved, while the same containers are then delivered directly to your new home. They are sealed at your old house and moved by forklift, secure in our purpose built container store for as long as you need to keep them there. It’s seamless, convenient and very efficient. 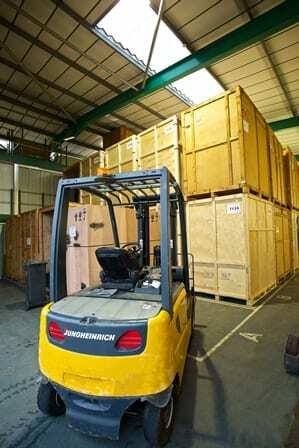 For more information about our container storage solutions, feel free to contact us today.